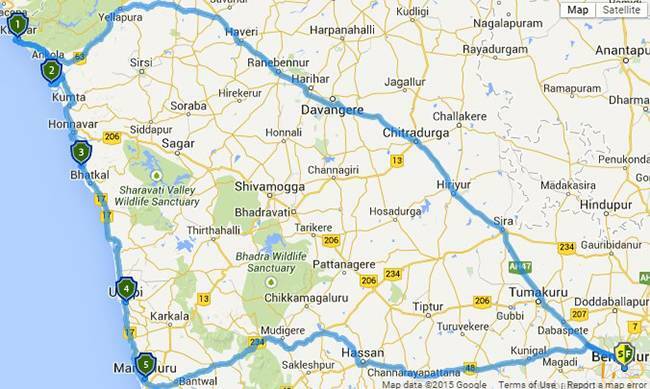 Bangalore is the best place to be in if you love road trips. We have great highways, charming towns and hill stations, never-ending natural splendor, and numerous destinations to reach in one day or less. Each of these routes has abundant opportunities of great scenic rides and wonderful sightseeing. 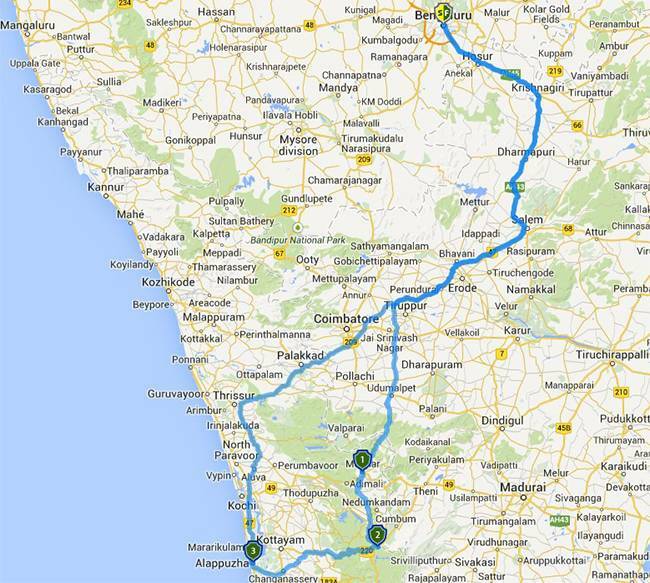 You can do this itineraries as bike trip from Bangalore, drive your car or rent a car from many options of self drive cars in Bangalore. 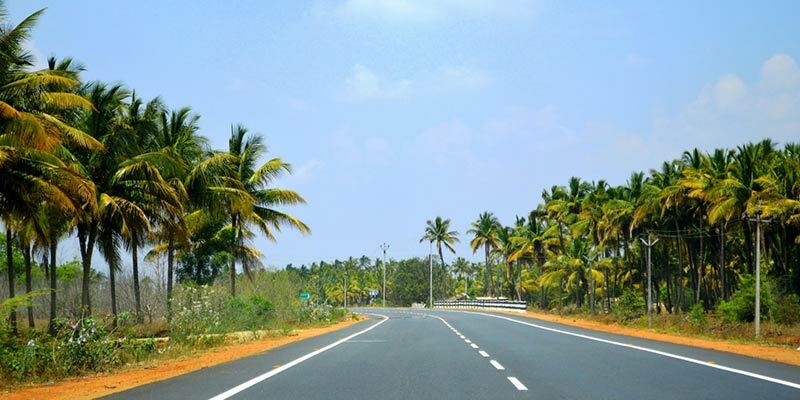 Grab your sunglasses, get ready to roll, and check out these six tremendous road trips that we think qualify as the best road trips from Bangalore. Do this for the love of great ancient Indian architecture and a fabulous hill-station. Belur and Halebidu have magnificent temples constructed by Hoyasala Empire. Chikmagalur offers a great destination for short treks, waterfalls and landscape full of jungles or coffee plantations. Shravanabelagola has 18 meters high monolithic statue of Bahubali on a hill and one of the most sacred Jain pilgrimage place in India. 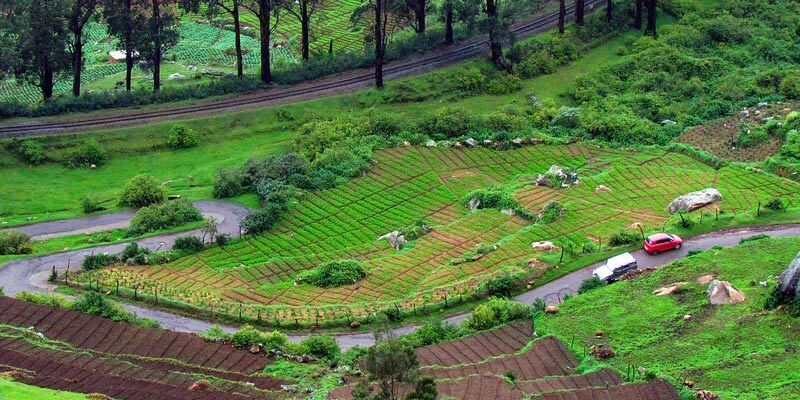 Ideal Time: Chikmagalur is at its best during monsoon months but this trip can be taken round the year. Mahabalipuram, also known as Mamallapuram is world famous for its UNESCO World Heritage–listed shore temples. Pondicherry is a must visit for its still present colonial charm, cafes and a laid back trip. Pichavaram is one of the natural wonders of India and the spot where world’s second largest Mangrove forest are present. Ideal Time: October to February. Hampi doesn’t need an introduction, if you have not heard of this place then may be road-trips are not your cup of tea. Hampi is a small town with ruins from Vijaynagar Empire spread over hundreds of kilometers around it. Some of these almost thousand-year-old monuments are an absolute must visit. Hampi has Goa style shacks to stay on other side of the river which must be crossed on a coracle. Alcohol sale is prohibited within the town limits. Badami – Aihole – Pattadakal offer cave temples, forts and other monuments from Chalukya Empire. Along with Hampi this make a perfect circuit to cover for the love of ancient architecture. Also known as “Honeymooner’s Paradise”, sprawling mountain valleys, vast Tea Plantations, green lush meadows, make Munnar, a much sought after tourist destination in Southern India. Thekkady is famous for Periyar National park and is usually thronged by foreign tourist charmed by local culture, wilderness and cool climate. Alleppey is what comes to picture when most people think of Kerala, never-ending backwaters, house boats and Ayurvedic massages. Ideal Time: All year round. This is the road trip for beach lovers. Karwar with its beach resorts and Gokarna with its pristine beaches are undoubtedly the best beach destinations of Karnataka. Murudeshwar and Udupi are more of religious centers but they are great spots for water sports especially scuba diving. St Mary’s island off the coast of Udupi is a must visit. 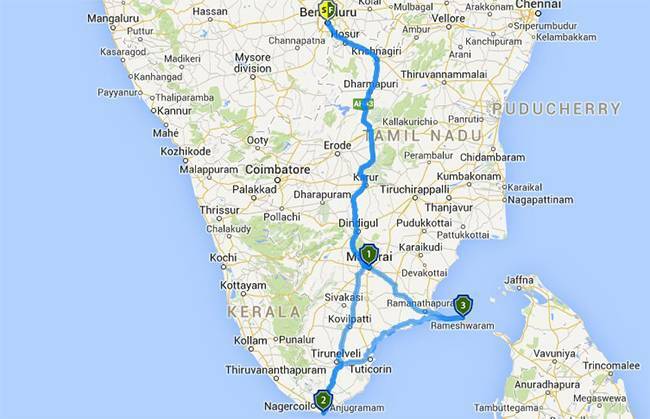 Kanyakumari sounds far but on a highway as good as NH-7, you could do it far easily then some shorter trips. 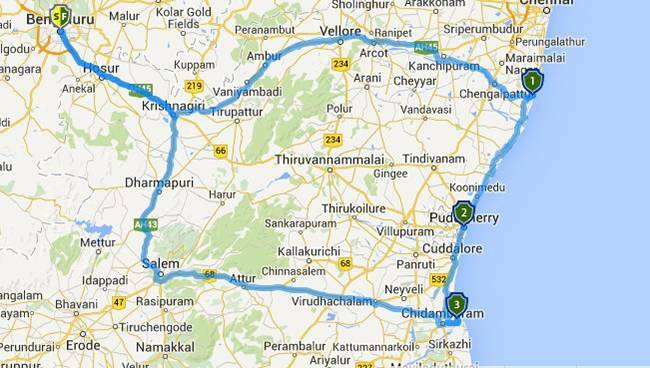 Take a night halt at Madurai or Salem if you want. Visit Meenakshi temple early morning to avoid rush and traffic. Kanyakumari offers numerous stay options at very fair price but unfortunately it’s not the same for Rameshwaram Island. Either stay at Ramanathapuram or manage a few options available on island. Crossing Pamban Bridge and visit to Dhanuskodi near Adam’s bridge would be one of your life time experiences. Ideal Time: Mid October to February. After covering almost 280 km and a 6-hour drive through the NH 275, you will reach one of the most popular hill stations in the whole of south India. Ooty is probably the destination that comes into your head when you are thinking about a place to lay back and relax during the scorching summer heat. 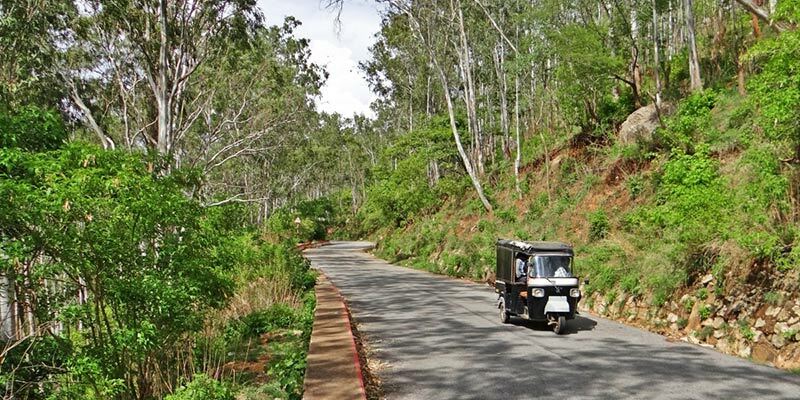 The beauty of Ooty starts from the drive itself. You will have to drive up the winding roads through the mist clouds, hovering over the asphalt and witness the green valley beside. The temperature in Ooty won’t climb more than 20 c even in the summer. If you want to enjoy the winter in Ooty, then November to February is the best choice. Home to the origin of the Kaveri river and some incredible landscape, Coorg has a generous share in the mighty Western Ghats. Apart from lush green hills, scrumptious cuisine and refreshing coffee, Coorg has several splendid waterfalls too. In Madikeri town, you can visit several colonial and pre-colonial era structures. You need at least three days to explore and enjoy the beauty Coorg has to offer. The climate in Coorg stays pleasant almost throughout the year. In summer (March to mid-June), the temperature climbs till 34 and during winter(December to February) it varies from 10 to 11. Coorg receives a generous rainfall during the Monsoons. However, the best time to visit Coorg is during the months of September to March. Sun, sand and the beaches, Goa is one of that place which always holds an evergreen and unchallenged spot in every vacation goals. A road trip will almost take 12 hours including breaks. The roads are pretty decent so route wise you won’t get into much trouble. Late night strolls on the beach, sipping a cold beer in a beach shack looking at the sea, enthralling water sports for the adrenaline junkies, and exploring the waterfalls, kayaking through the mysterious backwaters: The things you can do in Goa are so many. Drive to Wayanad is a beautiful one which lets you through dense forests and hills of Western Ghat. You can spot many waterfalls and if you are lucky some wildlife too. Wayanad might not be as cold as Ooty nor it might not have a royal legacy like Coorg. But one thing Wayanad has is its unmatchable nature. The ride through the winding roads and scary hairpins are something exclusive for Wayanad. Waterfalls, caves with ancient scripts, incredible wildlife and interesting culture: Wayanad is absolutely worth the 7 hours, 300 km ride from Bangalore. In Wayanad, you can indulge in several activities like trekking, jeep ride through the wildlife sanctuaries, boat rides, camping etc. Just like Coorg, Wayanad is not a place you can enjoy in a couple of days. So make sure you have some days reserved in your plans for Wayanad. Wayanad is about 280 Kms from Bangalore and is great destination with lot of sightseeing options and things to do. The road to Wayanad from Bangalore is an exciting drive and the terrain keeps changing as you proceed towards this hill-station. Wayanad is also famous for its spice plantations. 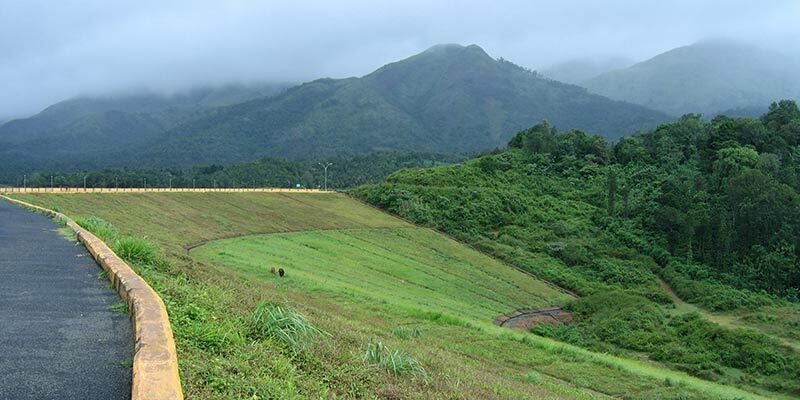 Other than the Monsoon season (June and July), you can visit Wayanad during any time of the year. Located at almost 470 km and 9 hours from Bangalore, Kodaikanal is one of the many awesome hill stations in the mighty western ghats. If you are at the right time, you might even witness the flowering of ‘Neelakurinji’ a beautiful blue wildflower which will bloom only once in 12 years. Apart from that, there are several other spots like the Byrant’s park, Shola falls, Berijam lake etc. Often referred as the ‘Princess of the Hills’ Kodaikanal International School is one of the most prestigious schools in India. 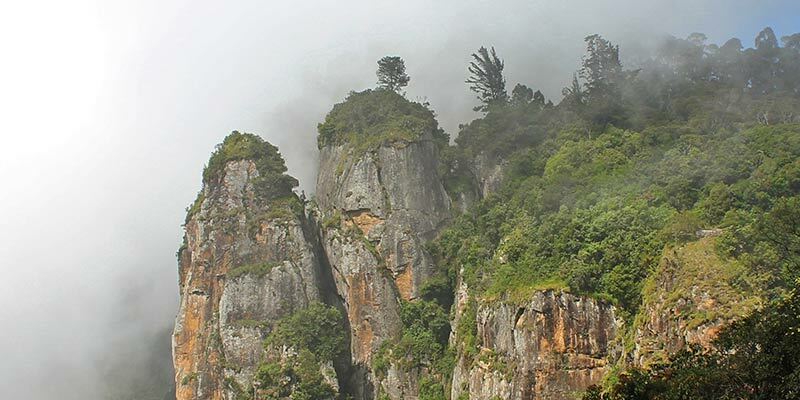 Just like any other hill stations in the Western Ghats, other than the Monsoon season, every time of the year is a good time to visit Kodaikanal. Temperature remains moderate throughout the year in this place. When it comes to places to visit under 100 km, it’s not fair to open a list without Nandi Hills. Nandi hill is a popular spot not just for bikers, but also for the bicycle enthusiasts. Located at just 60 km away from Bangalore central. You could reach there after just 1.5 hours of the ride. For bicycles, usually 4 to 5 hours is needed but it might vary according to your riding skills. In Nandi hills, if you want to enjoy some alone time and enjoy the view in peace, then weekends might not be a good time. The crowd during weekends can get really big, especially in the early morning and late evening for watching sunset. Every time of the year is best to visit Nandi Hills but if you are visiting during the monsoons, then make sure have footwear with good grip because the climb can get a little slippery. Technically it’s not under 100 km. 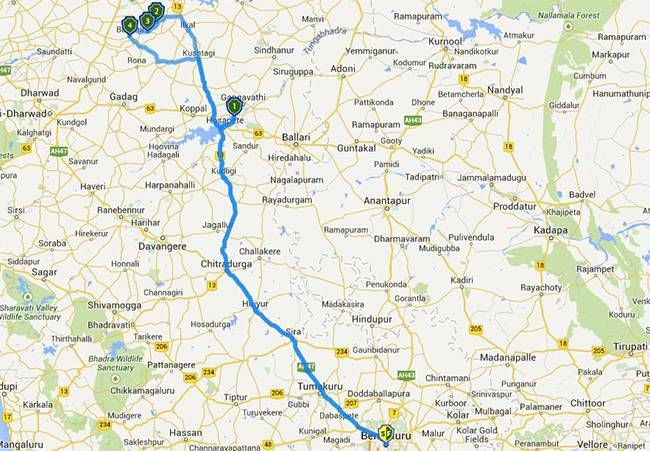 it’s almost 105 km from Bangalore. You can reach there after a 2.5-hour ride through the NH 948. 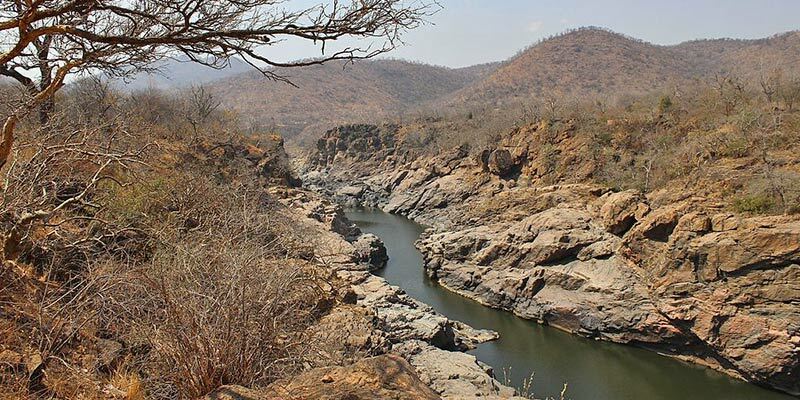 Bheemeshwari is best known as an adventure sports hotspot. Here, you can indulge in activities like, zip lining, quad biking, rappelling, climbing, rafting etc. 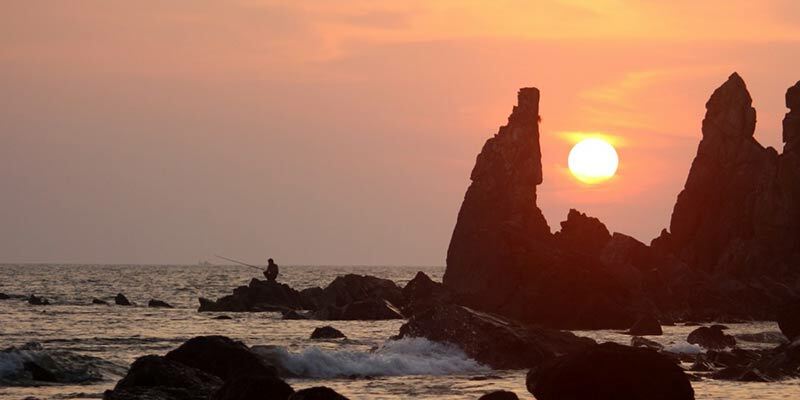 Located on the banks of the river Kaveri, Bheemeshwari is also known as the Anglers Paradise. Many game fishing enthusiasts also come here for the famous ‘Mahseer’ which are abundant here. In the forest areas, you may come across several wild animals like, elephants, otters, wild boars and even leopards. If you are visiting during the monsoon time, then the water level might be dangerously high and you may not be able to indulge in many watersports. Shivanasamudra possibly might be the popular one day trip from Bangalore after Nandi Hills. 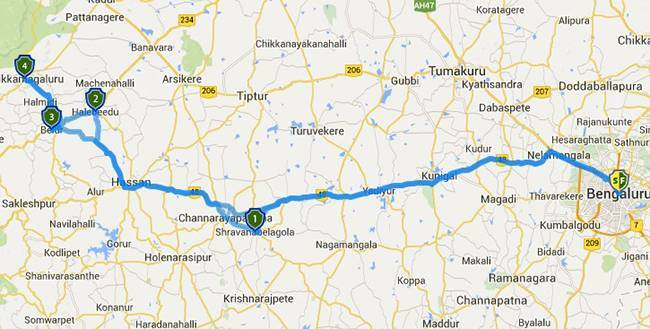 Located at a distance of 135 km away from Bangalore, you can reach there after a 3-hour ride. It’s dangerous to take a dip at the foot of the falls. Interesting it might see but wise to choose otherwise. You can enjoy the beauty of the thundering falls from far away as well as a by a coracle ride. With the coracle ride, you can reach close to some of the ‘several’ falls in Shivanasamudra. 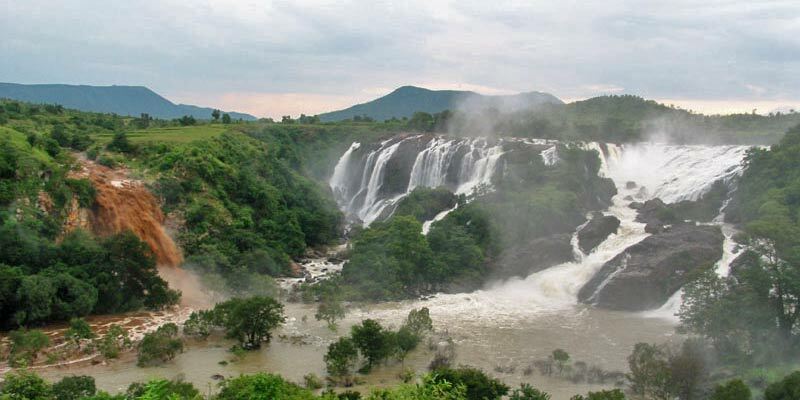 The falls of Shivanasamudra will be at its mightiest during the monsoons. 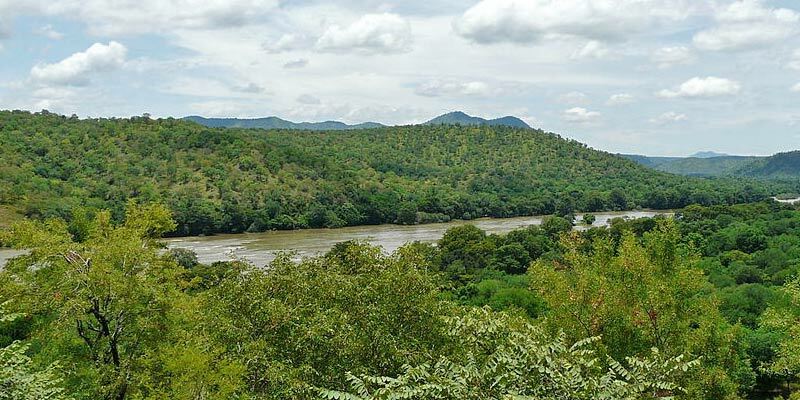 Located just under 100 km away from Bangalore, Sangama and Mekedatu are the two places where you can see the Kaveri River in different attires. Kaveri is wide at Sangama and it flows through the narrow gorges with walls of black granite rocks on either side. In Kannada, the name Mekedatu means ‘Goats leap’. As the story goes, a lamp was chased by a tiger and the lamp escaped by jumping from one side to the other of the narrow river. But the Tiger couldn’t and thus the name. If the width of the river in Mekedatu is just under 7 meters it is over 150 meters in Sangama, which is located only 3,.5 km before Mekedatu. September and December are considered to be the best time to visit these places. Located 85 km from Bangalore, Kokkare Bellur Bird Sanctuary is a paradise for bird lovers. 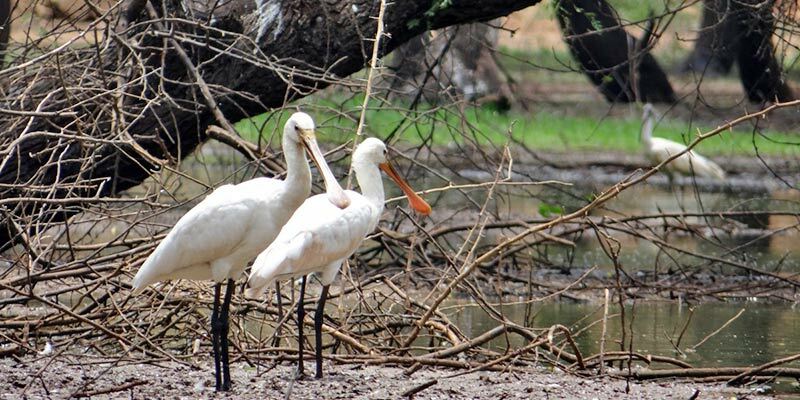 Here, you can spot flocks of Painted Storks and Spot-billed Pelicans nesting on tree tops. The village got its name from the ‘Stokes’ means Kokkare and Jaggery which means Bellur. The villagers believe that the main reason behind there prosperity is its birds. Birds droppings are high in potassium and it helps the villagers, who are mostly farmers with their agriculture. They respect and love these birds and birds return the love! The best time to visit Kokkare Bellur is during the month of October to march when there are a lot of migratory birds.